OnePlus launched its much-anticipated flagship, the OnePlus 6, last week in India. While the regular variants of the handset were the showstoppers in their own right, it was the limited Marvel Avengers edition that stole the show. The handset is being launched in partnership with Marvel and went on sale in India for the first time on May 29th. OnePlus has priced the limited-edition flagship at Rs 44,999 and for the price, you not only get a distinctive design and upgraded storage, but also an Iron Man-themed rugged case along with an Infinity Medal in the box. With such an attractive package, it’s not a surprise that the smartphone was sold out in under a minute across all channels. What’s even more interesting is that OnePlus is running a challenge for its community as well as the fans of Marvel’s superheroes. 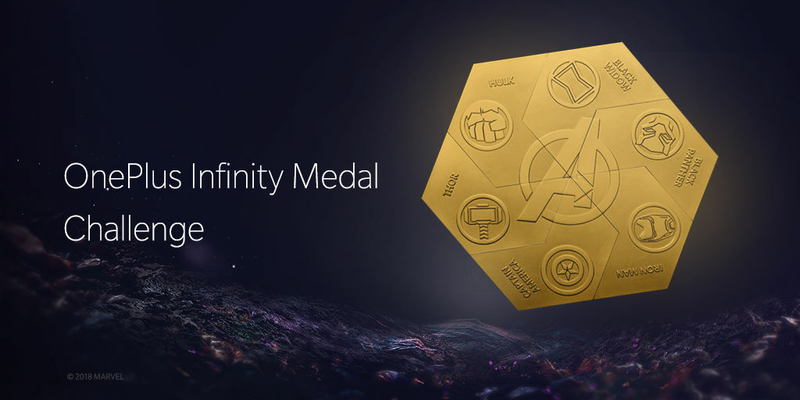 Dubbed the ‘OnePlus Infinity Medal Challenge‘, the brand has six unique Infinity Medals on offer. 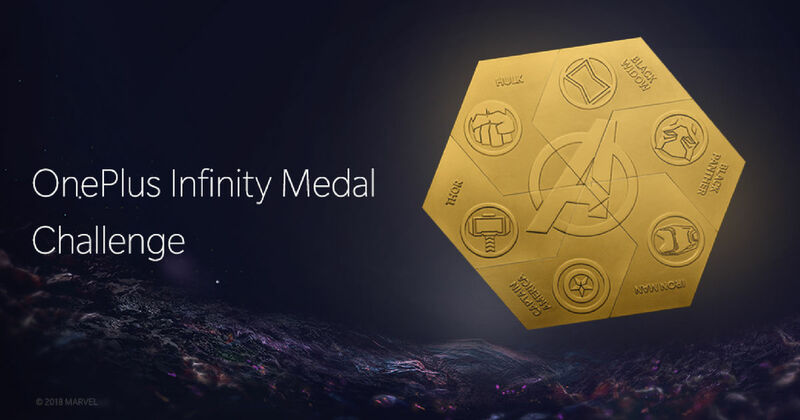 Following the story arc of Avengers: Infinity War, OnePlus is letting customers play Thanos in real life by asking them to collect all six medals to win an all-expense paid trip to Dubai. As part of the challenge, users are required to collect to all six unique Infinity Medals to win a five night, six day adventure trip to Dubai along with a partner. However, the tricky bit comes in the form of the fact that each retail pack of the device comes with one out of the six Infinty medals, and there is no way to know which medal is inside the box without opening it. Users might have to buy / exchange / trade the medallion from other people who have it. Moreover, buyers can also team up with others who have different medallions to win the trip together, albeit they will not be able to bring a partner in this case. To be able to bring a partner along, a single person needs to collect all six medals individually. Those who manage to emerge as winners can win an all-expense paid trip to Dubai with a stay in a five-star futuristic hotel with iGENIE for five nights and six days. The package also includes a day at IMG World of Adventure featuring Marvel attractions, dinner at Tony’s Iron Man themed Skydeck, Dubai Fountain Show, and a visit to the top of Burj Khalifa. The entries need to be submitted by 11:59 pm on June 30th and will be verified by July 7th at the same time. The prize will be given to the first set of winners on a first submission basis. To recap, the new OnePlus 6 X Marvel Avengers Limited Edition flaunts a distinctive carbon fibre finish on the rear panel. The special edition device also boasts the highest storage across all variants – 256GB. However, apart from these differences, the smartphone retains the spec sheet of its siblings including the 6.28-inch AMOLED display with 19:9 aspect ratio, Snapdragon 845 SoC, 16MP + 20MP rear cameras, 16MP front camera, Android 8.1 Oreo, 3,300mAh battery and fingerprint scanner. If you haven’t been able to get your hands on the OnePlus 6 X Marvel Avengers Limited Edition, fret not. The smartphone will be going on a second and final limited stock sale on June 5th. Additionally, the limited-edition handset will be up for grabs offline at authorised OnePlus experience zones on June 3rd.